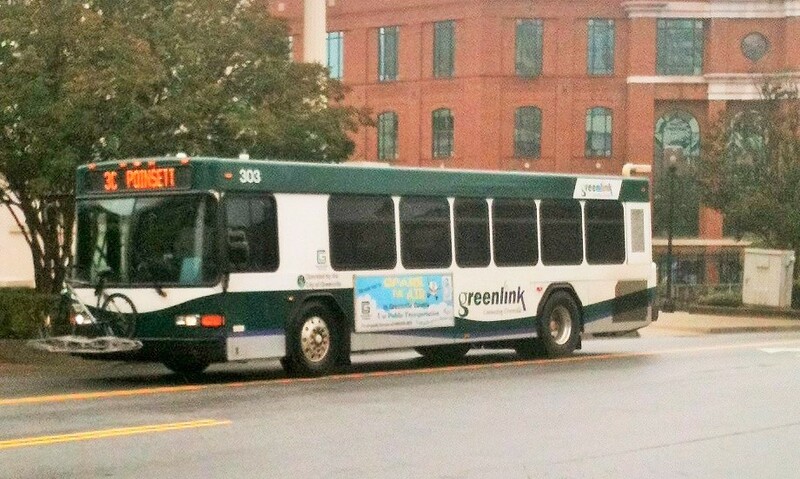 Here are a couple of photos from Greenville's "Greenlink"... They operate about 14 routes using low floor Gilligs and Optima/Opus. There is one downtown bus terminal that is used by all routes. The system operates 11 routes and 4 commuter/connector service. The commuter/connectors are operated Monday-Friday. The regular bus routes do no operate on Sunday. 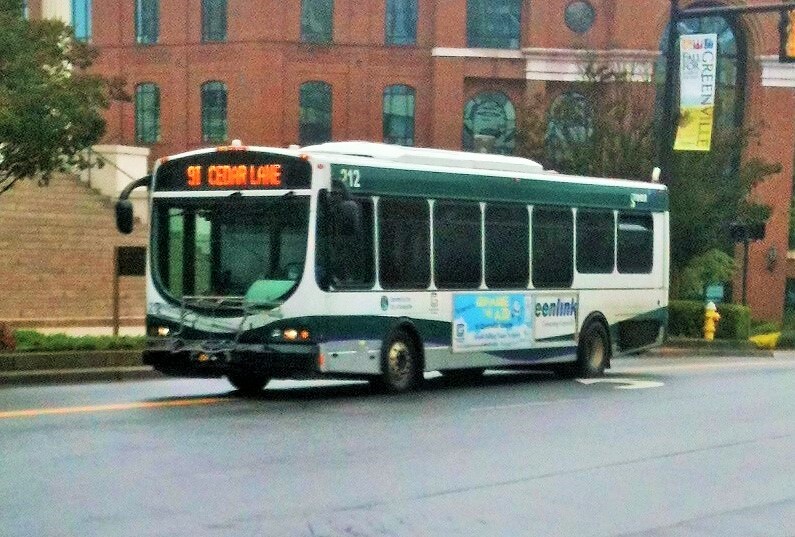 A sightseeing trolley operates mostly on Main Street in downtown Greenville. The service is free and provides bike racks. Operates Thursday through Sunday. The bus garage is downtown behind Fluor Field, home to the Greenville Drive baseball team. The storage yard is on a hill while the single maintenance building is at street level.